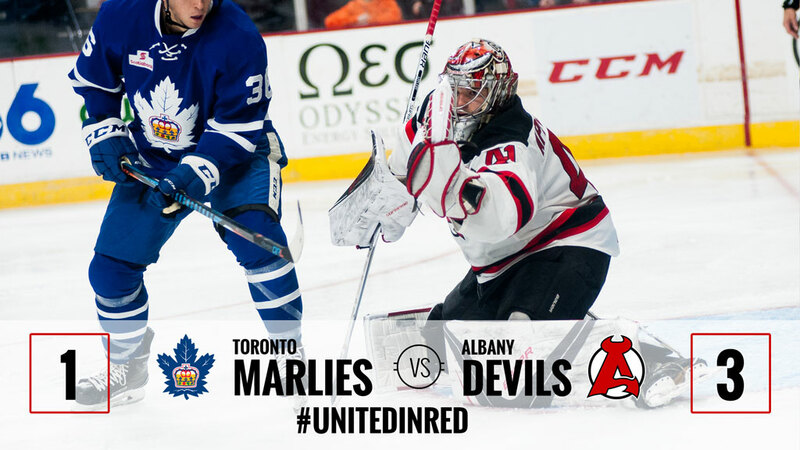 ALBANY, NY — The Albany Devils, led by Ken Appleby, Miles Wood and a cast of characters, ended their two-game skid by scoring three unanswered goals en route to a 3-1 win Tuesday against the Toronto Marlies. 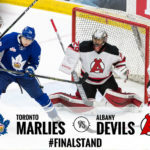 Appleby was steady in his first game since being reassigned from the ECHL’s Adirondack Thunder, making 23 saves on 24 shots for his second win in as many starts for the Devils. 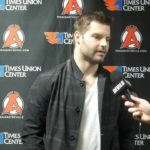 Wood opened up the ice for the Devils all game with multiple breakaway attempts. He registered his second point in the last four games, helping set up Blake Coleman’s game-winning tally at 4:59 of the third. After Wood was stopped on a two-on-one breakaway chance, Coleman took the rebound and scored on a wraparound off of his backhand. The tally was Coleman’s third of the season. 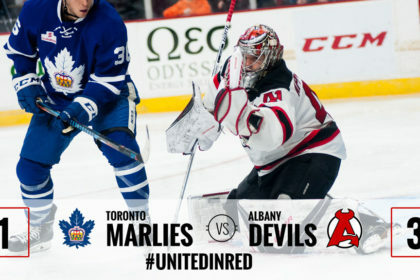 The Devils added to the lead at 12:18 of the third when Kevin Rooney sped past the Toronto defense for his third goal of the season. 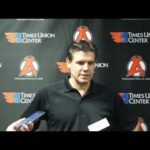 Karl Stollery and Josh Jacobs recorded the assists. Earlier in the game and after Toronto’s Byron Froese opened the scoring at 9:21 of the first, Mozik provided the game-tying goal off of a Reece Scarlett assist at 12:30 in the second period on a powerplay. 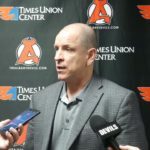 For Mozik it was his second goal of the season, while Scarlett registered his seventh assist and he is now tied for second on the team in points with nine. 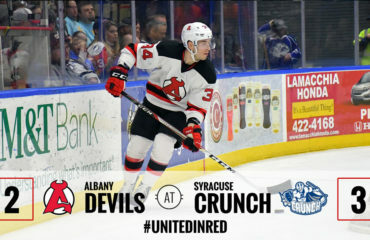 The win is the Devils’ seventh at Times Union Center, improving their home record to 7-1-0-0 and their overall mark to 10-6-0-0. 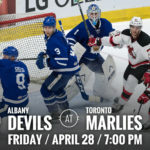 The Marlies move to 9-5-0-1. 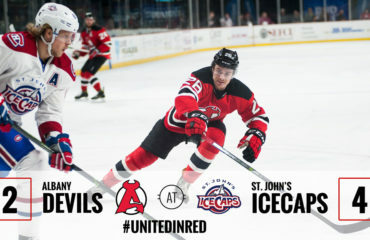 The Devils return to the ice as the Albany River Rats Saturday for the highly anticipated “Throwback Night” against the Rochester Americans. 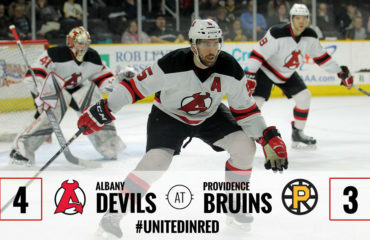 Puck drops at 5 pm.